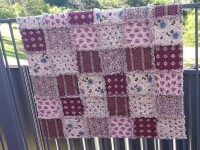 Beautiful Burgundy & Beige raggy quilt. Quilt measures approx. 140cm x 140cm. 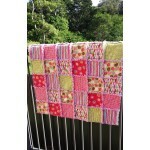 Quilt is filled with wool batting for warmth.